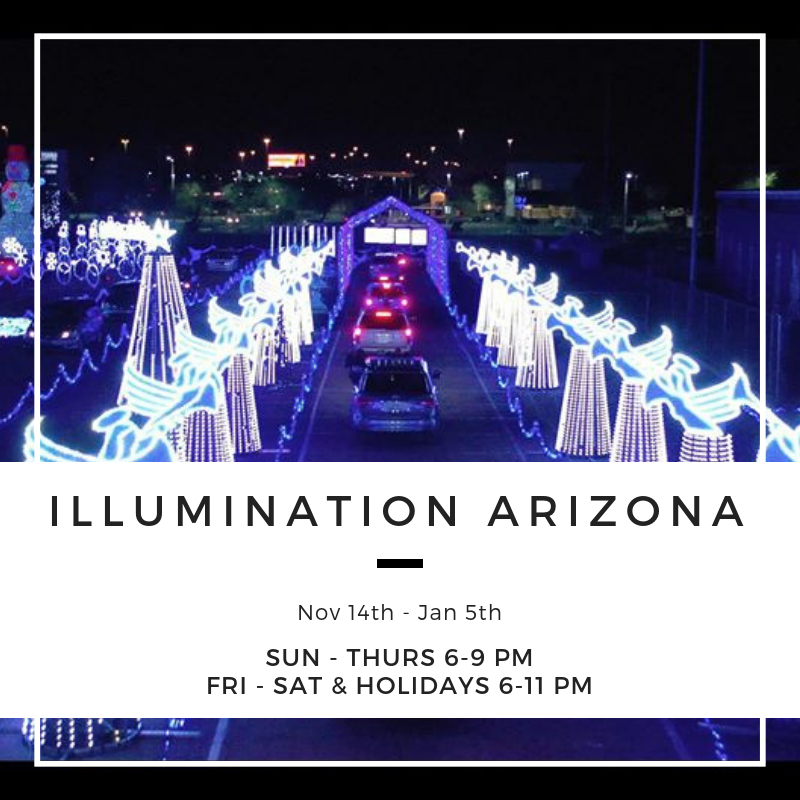 Illumination: Symphony of Light is the world’s largest drive-thru holiday light spectacular, masterfully synchronized to holiday music and video, utilizing the latest in world-class technology and computer programming. 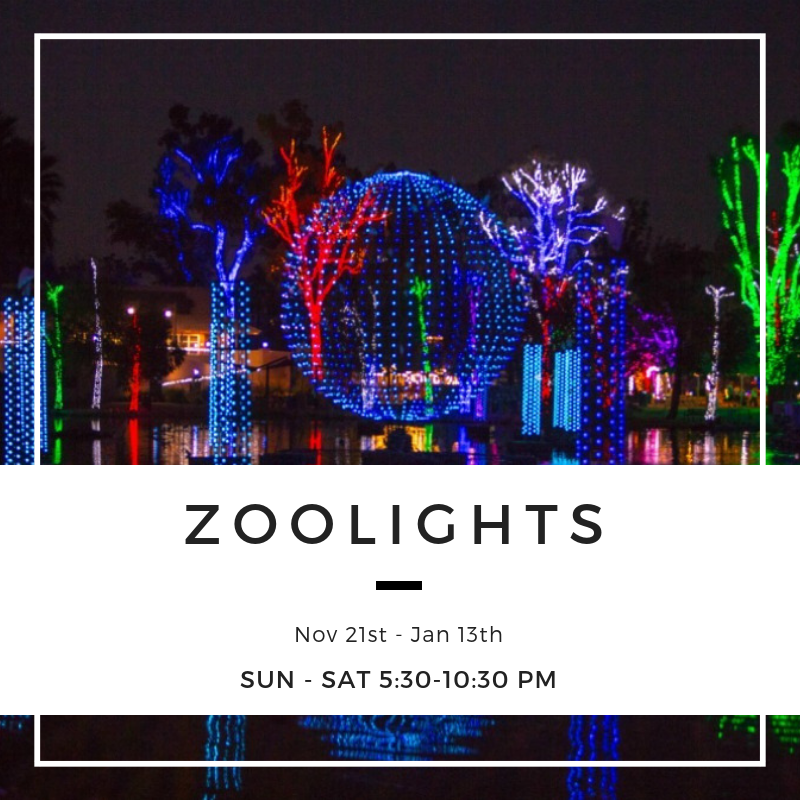 The Valley’s most anticipated holiday tradition: ZooLights at the Phoenix Zoo! Millions of lights, live reindeer, Stingray Bay, and 4-D Theater included with admission. 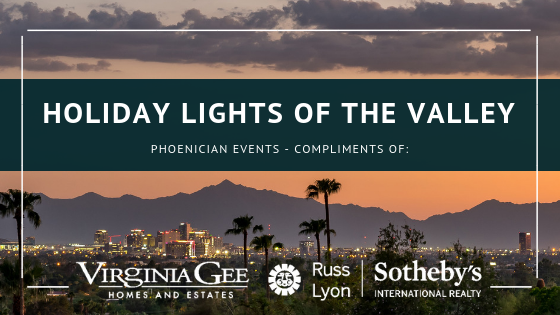 Glendale’s award-winning holiday lighting event has become a family tradition across the Valley and Arizona. 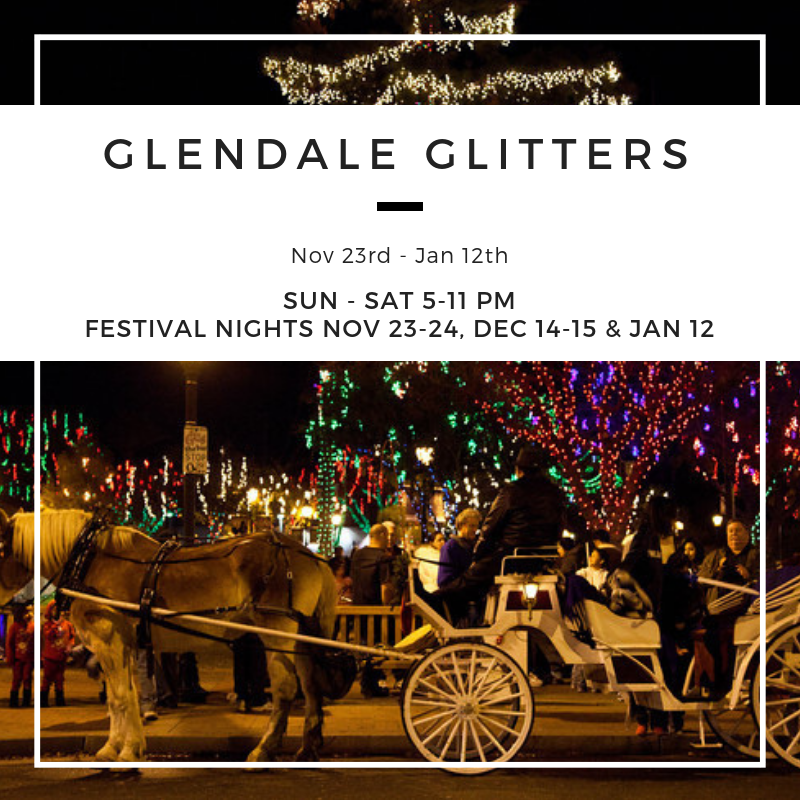 The stunning display of 1.6 million LED lights will illuminate sixteen blocks of Historic Downtown Glendale, making it the largest free holiday light display in Arizona. 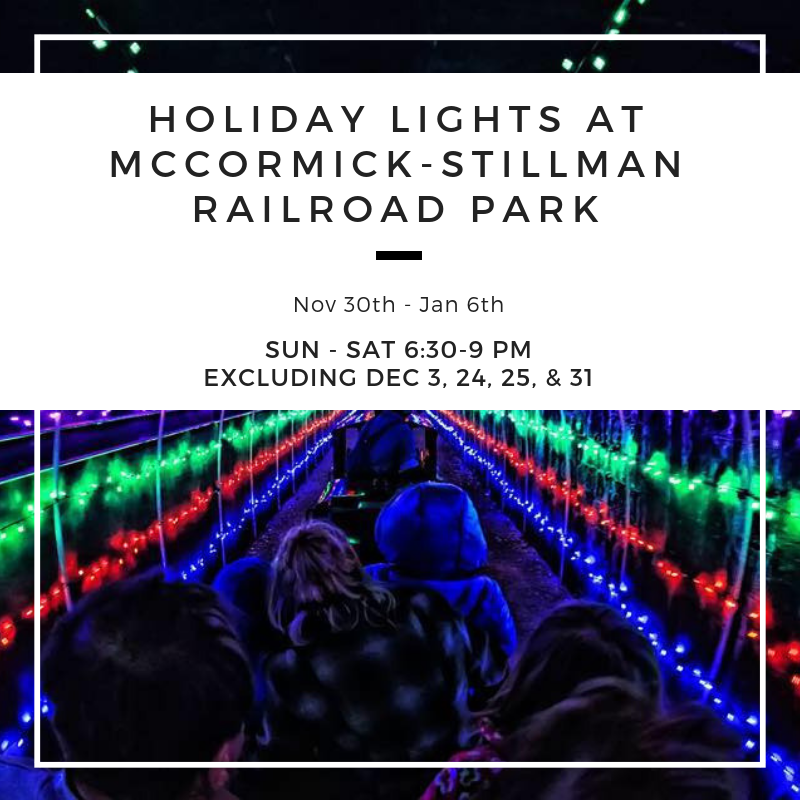 The event’s centerpiece is a train ride on the Paradise & Pacific Railroad through a winter wonderland of lights and displays. Take a ride on the historic Charros Carousel and visit the park’s one-of-a-kind Model Railroad Building. Be a part of this Southwestern holiday tradition. 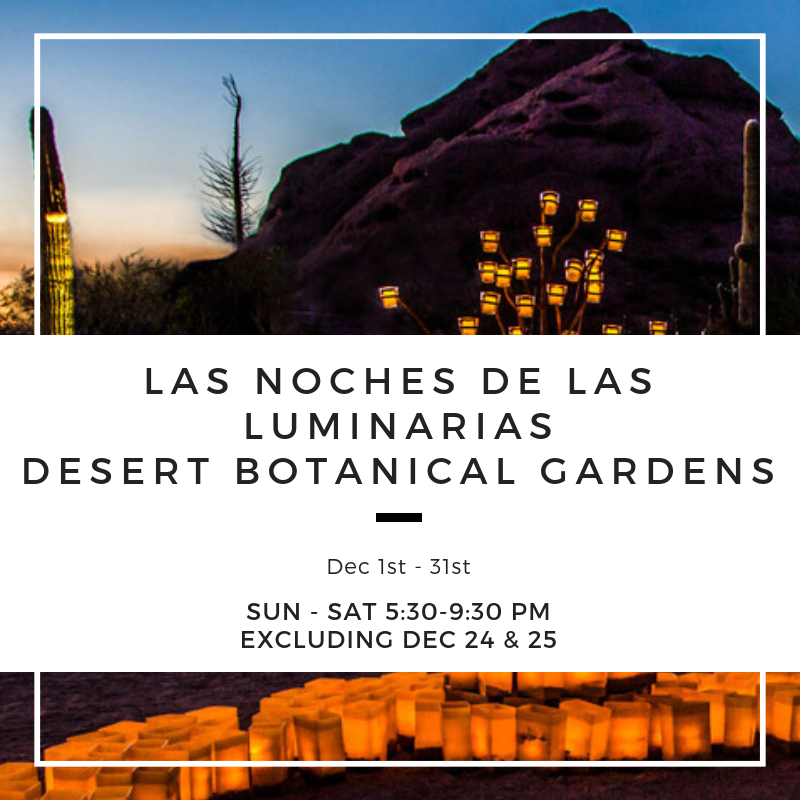 Each evening will feature more than 8,000 hand-lit luminaria bags, thousands of white twinkle lights and the pulse of 'Electric Desert'. At almost every turn, be greeted by the sights and sounds of nine entertainment ensembles and engaging experiences.